LINCOLN, Neb. — It's tempting to call the 2018 season a rebuilding one for Nebraska. The Huskers went 4-8 in 2017, after all. They're also only eight months into a new coaching staff. The 2018 preseason Amway Coaches Poll clearly sees it as a rebuild. Nebraska didn't receive a single vote in the poll that came out Thursday. Nebraska coach Scott Frost sees it all a little differently, though. "I'm going to address the team and tell them it's time to prove it. It's time to show it. Now is the time," Frost said Thursday. "If we have anyone going into the season thinking this is going to be a rebuilding year, we're not going to accomplish as much as if we attack it. It's a natural progression when you have a team coming off a tough season that you have to get them first thinking they can win and then getting them knowing they can win and then getting them to expect to win. I'm not sure where we are in that process right now but confidence and self-efficacy and believing it can get done is a big part of success. "Sometimes confidence only comes when you experience success, so hopefully we have some early." The players echoed Frost's sentiments at the podium Thursday. 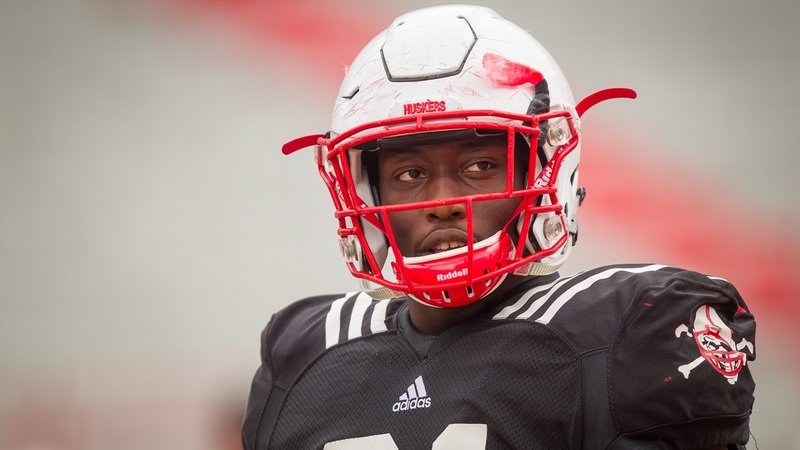 From senior defensive end Freedom Akinmoladun to senior linebacker Luke Gifford, it was a consistent theme that this season is not a rebuilding one. For Akinmoladun specifically, that's possible by holding each of his teammates accountable and expecting the best from each person every day. "No, I want everyone to be polished and that's how we want us to be." The preseason polls and magazines haven't given Nebraska much credit. Athlon picked Nebraska to finish fifth in the Big Ten West behind Wisconsin, Iowa, Northwestern and Purdue. Phil Steele and other media polls were a little more optimistic, giving the Huskers a fourth place finish in the West. The Nebraska seniors have higher hopes than middle of the Big Ten West pack, though. They see more on the table. "I definitely don't think 'rebuild' is a word that is going to be used with us. It's not what we want," Gifford said. "As a senior and for other guys on this team, that's not what we're seeking out and I know we can accomplish a lot more than that. We're going to attack every game like we've been doing this summer in the weight room. We attack everything we do and from week-to-week, I think we're going to keep getting better." Nebraska has meetings set following Thursday's press conference. Frost didn't expect to address this year not being a rebuilding one with the team during those meetings. It's not a message he believes needs to be said. With that said, Frost wants to take it all one day at a time. It might not be a rebuilding season, but he's not getting too ahead of himself. Tomorrow is probably far enough for now. "Talking to the guys, if you asked them how hard we worked them this offseason, I don't think there's any thought in any of their minds that we're looking past this year," Frost said. "We're looking at today, and today we're going to have a meeting and get some sleep. "Then we're going to be looking at tomorrow when we wake up and we're going to attack that and try to conquer that."